A new kind of building material which developed to a manufactured stone veneer: an exact replicas of natural stones used for building, cast in flexible molds and hand colored with iron oxide pigments. 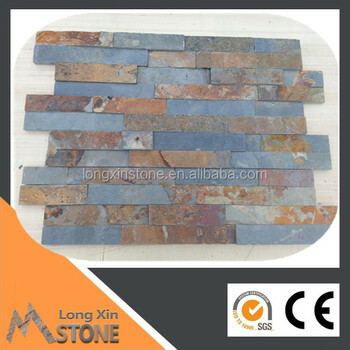 Made of lightweight aggregate materials, the veneers were approximately one-quarter the weight of full-thickness stone and could be adhered to most wall surfaces. Corner pieces are also available . 1. 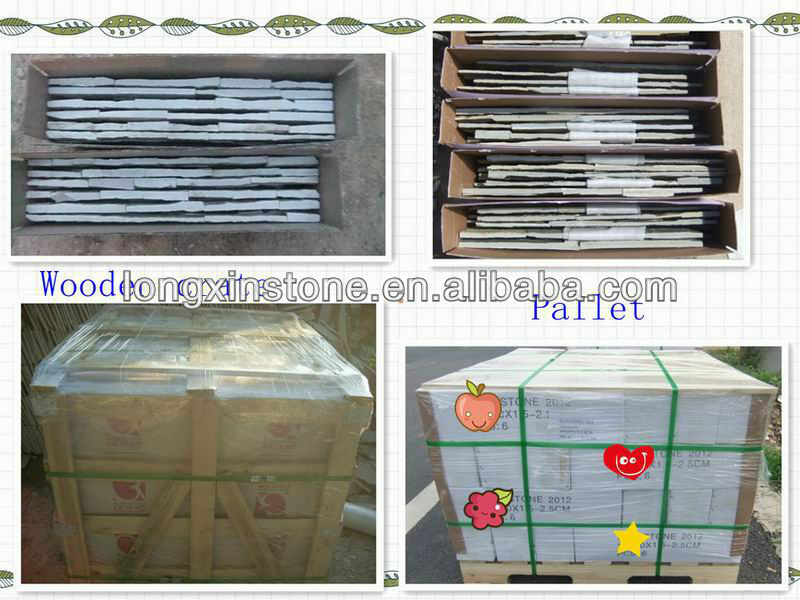 This kind of natural stone wall panel is beautiful for wall cladding decoration. 2. 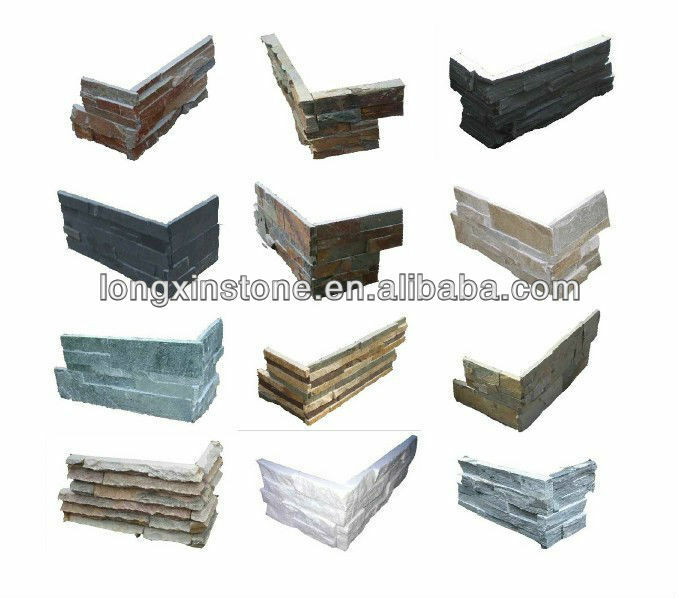 Popular for indoor and outdoor, parks, landscape, etc. 3. It has very low absoption rate to water, which makes it great for outdoor conditions. 4. It is color unfading with a rich unsmooth surface. 5. 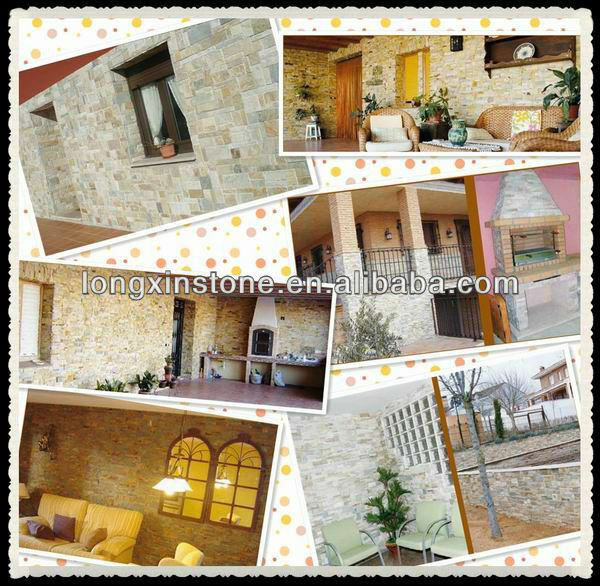 Heat,cold and rain will not effect the natural stone . 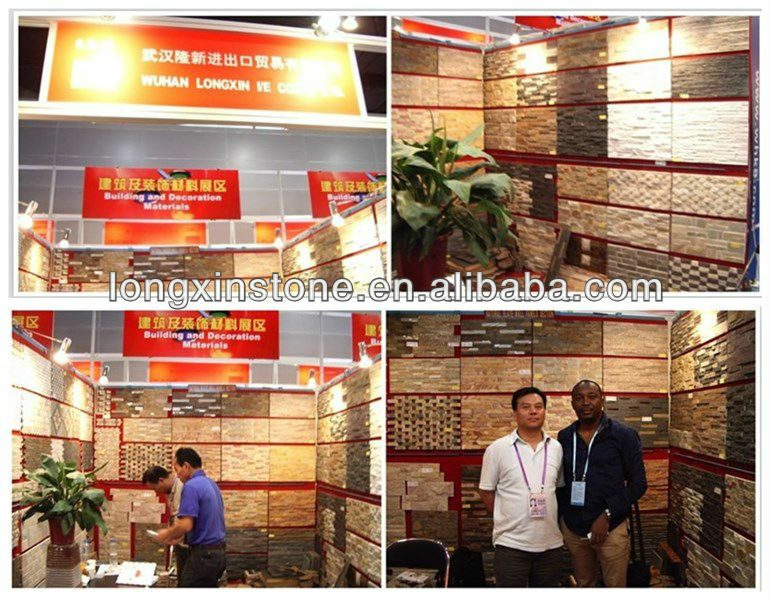 We will attend the Canton fair on 15th April and 15th October every year .